I rise today in honor of Women’s History Month. Each year, we pay special tribute to the contributions and sacrifices made by our nation’s women. It is an honor to pay homage to outstanding women who are making a difference in my Congressional District. 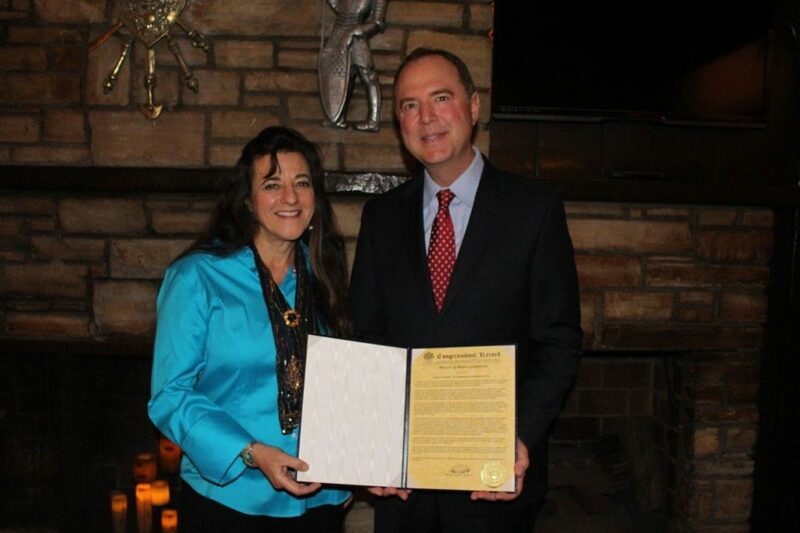 I would like to recognize a remarkable woman, Pat Kramer of Sunland-Tujunga, California. Pat Kramer is a communications expert who creates original content for business and corporate entities for their marketing, outreach and public relations efforts. For over thirty years, she has worked as a consultant to companies in education, entertainment, healthcare, financial services, real estate, transportation, politics, arts and culture, cities, agencies and non-profit organizations to improve their communications materials. Over the course of her career, Ms. Kramer has written for the Los Angeles Times, Los Angeles Business Journal, Variety, City News, and many industry-based publications. Today, Pat focuses on ghostwriting memoirs, books and articles for her clients, and especially enjoys writing memoirs for senior citizens to help preserve their legacy for future generations. Pat is a regular guest speaker at various business events, and shares her expertise educating public high school students who are interested in communications careers. Some of the professional organizations Pat has been a member of include the National Association of Women Business Owners, Entertainment Publicists Professional Society, Independent Writers of Southern California and Business & Professional Women of Sunland-Tujunga. A dedicated volunteer in her community, Pat’s activities include over thirty years of participation in the Sierra Club, Angeles Chapter, where she has held leadership positions and advocates for issues affecting the quality of life in the foothills. A Sunland Tujunga Neighborhood Council (STNC) member for many years, some of her accomplishments on the council include helping to complete a decade-long project to create a new community park in Sunland, Oro Vista Park, as Inventory Chairperson, organizing the STNC’s 2017 move to North Valley City Hall, which involved managing volunteers, overseeing inventory of supplies and historical records, and co-chairing the 2018 STNC’s Emergency Preparedness Day. In addition, Pat chaired the Ad Hoc Signage Committee and currently chairs the STNC’s Safe Traffic and Transportation Committee, which creates informative monthly meetings about improving safety on Sunland-Tujunga’s streets. 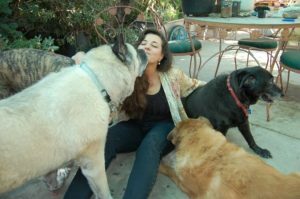 In addition to her outstanding work in the community, Ms. Kramer is passionate about animal rescue work, and has been working to try to initiate the City of Los Angeles’ Department of Animal Service’s Volunteer Animal Officer program and supports other worthwhile animal rescue organizations. Born and raised in Worcester, Massachusetts, Pat credits her grandparents, immigrants from the Ukraine, with teaching her good values, instilling in her the importance of hard work, while encouraging her to follow her dreams. As a result of doing what she loves and thanks to her grandparents’ influence, Pat’s full life includes hiking, gardening and caring for her three rescue dogs. I ask all Members to join me in honoring this exceptional, well-respected woman of California’s 28th Congressional District, Pat Kramer. Today I had the pleasure of being interviewed on Eszylfie Taylor’s podcast “Ask the Experts” on Dash Radio.com, interview to be broadcast on April 10th. 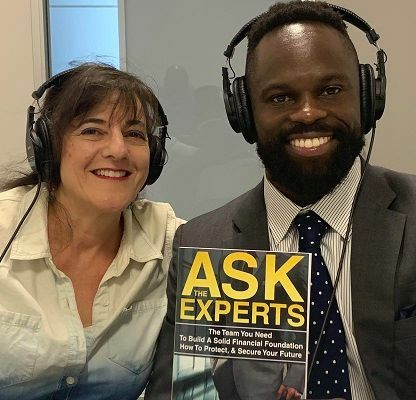 Eszylfie, founder of Taylor Insurance and Financial Services in Pasadena, CA., does these interviews to provide listeners of this satellite service with informative content, as well as a way of connecting people with the services they need. I am proud to call Eszelfie a friend and owe him a debt of gratitude for giving me this opportunity. For my first blog of the year, I thought I would talk about common misuses of wording in the English language. This is something I see quite frequently as an editor and proofreader. For those who don’t speak English as their primary language, it can be very confusing, given that many words have alternate meanings. Assure means to promise; to give assurance. Ensure and Insure both mean to make certain – to guarantee. Insure is usually in reference to taking necessary measures, beforehand, as in an insurance policy. Let’s look at another example: Beside or Besides. Beside means next to. Besides means in addition to or other than. Another example is Compare versus Contrast. Compare means to examine the qualities of more than one item so you can discover similarities or differences. Contrast means to examine two or more items, specifically to differentiate them. A Council is an advisory or legislative body. Counsel means to give advice, or when used to describe a person, it refers to an attorney. A Consul is a foreign service agent, stationed abroad. By learning the exact meanings of words, you can ensure that all your documents: i.e. 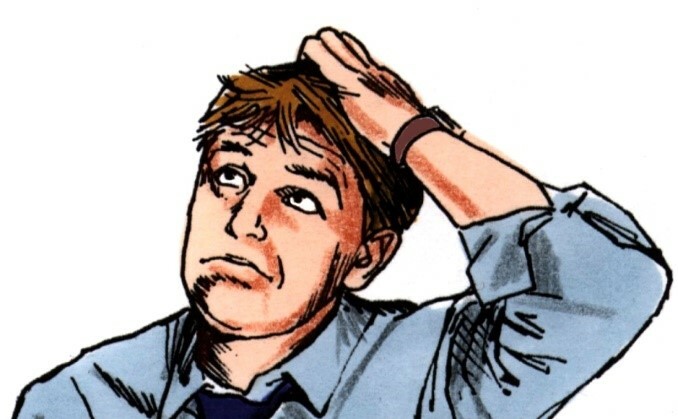 blogs, web content, reports, etc., actually mean what you “think” they mean. When in doubt, hire a writer or editor to review your work before you finalize it or post it on social media. Writer For Hire provides editing and proofreading services in addition to writing fresh, unique and customized content for businesses. For more information, email: pat@writerpatkramer.com. On September 20, 2018, I attended the “Road to Resilience,” an emergency management conference sponsored by the Business Industry Council on Emergency Planning & Preparedness (BICEPP). The full day event was held at the AirTel Plaza hotel in Van Nuys and was well attended by private sector, government employees, and non-government organizations (NGOs). Given the information provided, I believe everyone came away with an upgraded level of knowledge about how to prepare for the next earthquake, fire, flood, or other natural disaster. While sponsors Jeff Edelstein of SOS Products and Glen Granholm of Safe-T-Proof told us what every company and home should have in their emergency supply kits, informational presentations included Caltech’s Margaret Vinci on the science of studying earthquakes, Los Angeles City Emergency Management Department’s Jon Brown on the Ready Your LA Neighborhood program, Ventura County Emergency Preparedness Program’s Dan Wall on lessons learned from the Thomas Fire, and Dr. Dennis Mileti, Professor Emeritus from the University of Colorado on modernizing public warning messaging. BICEPP President Chris Wright gave opening remarks and kept the program moving at a fast pace and Ross Kocen of First on Scene Training explained how companies and organizations can get the most out of their EPP training. 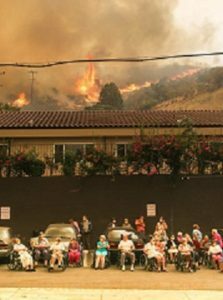 Additionally, Les Borsay, Emergency Planning Specialist for The J. Paul Getty Trust spoke about how the December 6, 2017 fire in the Sepulveda Pass caused his facility to go into emergency procedures. We heard from Abby Browning, Chief of the Governor’s Office of Emergency Services on how she manages Private Sector/NGO coordination for the State of California during a disaster. Nina Johnson from the Institute for Emergency Training explained what it takes to activate an Emergency Operations Center, and Michael Ripley, CEM, CBCP talked about the essentials of developing a corporate Emergency Operations Center, from design and budget to technology, supplies and resources. He suggested maximizing alerts that are ‘actionable’ and make sure your messaging is clear, direct, and no more than 360 characters in length. Craft messages that reduce milling and public action delay and be specific as to what you are telling the public to do. Also, use symbols that have universal understanding so those who do not speak English also get the message. For more information on what emergency messaging looks like, he suggested reviewing the Army Corp of Engineers’ Guidebook to Public Alerts. Margaret Vinci, manager of Caltech’s Office of Earthquake Programs had some strong warnings for California businesses noting, “There are over 30 earthquakes per day in Southern California and 300 known earthquake faults. The 1971 Sylmar earthquake registered 6.6 on the Richter scale while the Northridge earthquake registered 6.7. Because earthquakes cannot be predicted, it’s essential to have a good early warning system that can kick into action sending out alerts once the vibrations begin. Caltech, presently, can only give us a five to ten second early warning. With that type of warning, immediate action is required to avoid injury or possible death. Vinci said Caltech is now looking for people to build better earthquake warning mechanisms to make the public ready. In the meantime, she suggested that individuals and businesses run regular warning drills to enhance their earthquake readiness capabilities and attend any public Shake Alerts that serve your business locations and residences. Dan Wall, Ventura County Public Health Emergency Preparedness Manager, gave us a grim but vivid overview of the terrible destruction that occurred during the December 4, 2017 Thomas Fire that burned 281,893 acres – and advanced through 96,000 of them in just two days with the 65 mph Santa Ana winds. Of the population of 854,223, seventy thousand people were evacuated. Due to dangerous levels of smoke and particulates, the air became extremely toxic, requiring distribution of N95 and P95 face masks to virtually every person living there. Ralphs and Von’s markets helped distribute the masks from their cashier stands which greatly assisted in protective measures. In all, the Thomas Fire destroyed 1,063 structures, and damaged another 280. It burned through 440 square miles in Ventura and Santa Barbara counties and caused over $2.2 billion dollars in damages. There were two fatalities in this fire: 70-year old Virginia Rae Pesola died from a traffic incident while trying to flee the fire in Santa Paula, and 32-year old Fire Apparatus Engineer Cory Iverson of the CAL FIRE San Diego/San Diego County Fire Authority died while trying to put out a flare up. The Thomas Fire was the largest wildfire in modern California history with over 8,500 firefighters involved. Over 500 residences were destroyed in one night in Ventura, alone. As a consequence of the fire, mudflows caused by flash floods in January later killed 21 people and destroyed 100 homes in the area of Montecito, with a portion of the 101 freeway, buried, which caused closure of the roadway for weeks. With climate change and rising sea levels caused by increased levels of CO2 in the atmosphere, ‘super storms’ are now taking place around the globe and early warning systems may not be enough. If this conference taught us anything, it was that we all need to take measures to prepare for disasters, in our personal residences, at our offices, and in our communities. Take a CERT class, learn emergency First Aid, and at the very least, set up an emergency plan for your own family that includes pets. The more prepared all ages of the family are, the greater your chances of survival. Pat Kramer is a freelance writer and longtime board member of the STNC neighborhood council in the City of Los Angeles. For more information, go to: www.writerpatkramer.com. I have always been a “dog person” and sometimes my love for animals extends to helping them out of bad situations. Although I have a full house already, if I am able to help rescue a dog, I will do so. Sometimes this translates to donating money to worthwhile animal rescue groups; other times it involves hands-on rescue work, such as with Niko, who I write this for to preserve his memory. I first saw Niko when I was traveling down a busy street near my home on a Saturday morning in October 2010. He was limping across tne roadway during mid-morning traffic, tagging along behind two other loose dogs. He appeared to be quite old and frazzled with his ribcage showing through his coat. Initially, I wasn’t going to stop as I was on my way to meet some friends but my love for the Akita breed, with its loyalty and intelligence, made me decide to turn around and go back. When I got out of my car, he stepped forward to check me out, making full eye contact in a curious but non-aggressive way. He was awesome to behold with beautiful markings on his tan, black, and gray body with long legs, a large head and soulful eyes. I held out my hand for him to sniff it and I asked him if he wanted to come with me. As soon as I opened my car door, he jumped right in followed by the two others who were with him. With them now safely in my car and off the street, I drove to my home and opened the gate to my front yard as I assessed the situation. All three were thin but Niko was in the worst shape. He seemed very neglected with a filthy, flea – infested coat and green ooze dripping from his eyes. 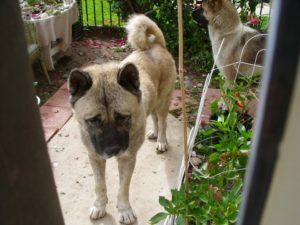 The female was a beautiful younger Akita who appeared to be in heat. That’s when I realized that both males were intact (unaltered) and it wasn’t long before a fight broke out in my front yard between the two. The other dog, a Yellow Lab, jumped on Niko’s back and grabbed him by the neck but Niko was too weak to fight back. So I jumped in and grabbed the Lab by his collar. When I did that, he swung his head around and bit down hard on my wrist causing blood to start spurting. Fortunately, a neighbor was walking by and I yelled for her to help me. She ran into my garage and grabbed a rag which I tied around my wrist. I then lured the “biter” out of my yard and locked the gate behind me. I drove myself to the nearest hospital where I needed several stitches to close the wound. Later, I reported the bite to Animal Services and they came and took the dog back to the shelter to impound him while they tried to locate his owner. For the next three days, I fed and cared for the two Akitas who were very well behaved and friendly. I made up flyers to post and also posted them on social media. A few days later, having received no input from my flyers, I reluctantly brought the two to the Animal Services shelter to see if they could find the owner. I also put in a request to have Animal Services contact me after the waiting period was over so I could try to find them a home. Within a few days, the owner of the two Akitas came for them and they were released to him. (Despite the older dog’s poor condition, I was told that the dogs were better off with their owner than at the shelter). When I called and was told the dogs had been released, I was very upset. Who would treat dogs this way and why would Animal Services let them go back to a home where they had been abused? Fortunately, I was able to find out the name and phone number of the owner and I called him to ask if he needed help with his dogs. He told me that he had no money to feed them and was out of work. I said that I would help out by bringing him some dog food. 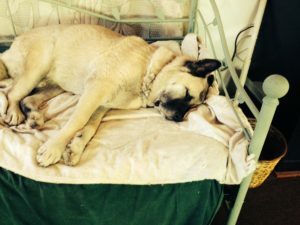 When I went to the owner’s home, I saw that he was keeping Niko in a locked outdoor enclosure, not much bigger than a cage where the dog was exposed to cold, rainy weather. The female was not on the premises. (He told me that he was using the dogs to “make babies” so he could sell them – aka: a backyard breeder). In this case, he never took the dog to a vet and had no plans to in the future, even though he was obviously very sick). Also, I noticed a small food bowl in his cage but no water. Depending on what the family was eating that day, that would be what Niko would get – a very poor diet for a canine. The pen in which he was kept was filthy and infested with bugs. Niko’s coat was also filthy and he smelled really bad. I knew I had to get this dog out of these hellish conditions or I wouldn’t be able to sleep at night. For the next three weeks, I continued to keep in touch with “Oscar.” I offered to take the dog – he said no. I asked if he needed any food. He said no. I asked if I could bring the dog to the vet. A week or so after I made that offer, the man agreed, as long as I would pay for it. That was one of the happiest days of my life! The following day, November 8, 2010, I drove to his house and removed Niko from his kennel to take him to my vet. As I sped away, I knew I would not be able to part with him if he survived. My vet diagnosed Niko as suffering from severe malnutrition with a bronchial infection. He was also anemic from the flea infestation. While a healthy male Akita can weigh 120 – 130 lbs, this poor guy only weighed 90 lbs. at that time; you could place your finger in the space between his ribs. When I spoke with “Oscar” again, I told him about the vet’s diagnosis and how much money it has cost (nearly $1000) for veterinary care. Since he had already been neutered, this dog had no value to him anymore. Over the next few days, I received calls from his sister in law, who, again, tried to convinced me to give some money to Oscar – in addition to paying the vet bill. I told her that my expenses more than paid for what I would have given him. The following day, I got a call from Oscar’s neice who said I could have Niko. I asked for his papers and medical records and she agreed to give them to me. When I met her, I told her that I would make sure Niko was well cared for and loved. She asked if I would let her kids visit him in the future. I said that would be fine – however, I never heard from her again. I hadn’t really planned on having a third dog – two was enough, but I had to help Niko out of this bad situation so I fixed a bed for him in the back of my car. It was cool in my garage and it sure was better than being in his filthy kennel. During the day, he had the run of my yard, although I had to keep a watch on him and as my other male – a Chow/Retriever mix – who was trying to start fights when they were in the same room. Over the first few months, I had to break up a few and I got bit a few times – no big deal. Eventually, I was able to teach the two males that they had to share the space inside my home and that everything was going to be okay. The other issue I had was in teaching Niko to walk on a leash. I don’t think he had ever been walked before. After several injuries to my shoulder and knee, I took him to a pet trainer and got him some behavior modification, which he did very well with. He was a quick learner and had a good attitude. Over the first year or two, things settled down. He began sleeping on my bed and the problems with my other male subsided as they learned to respect one another’s space. This was good because I liked to take all three of my dogs out in the car when I ran errands and they loved the outings. Niko would stick his whole big head out of the window and sniff the air. That always got a lot of smiles from the people we passed in my car. Everyone loved Niko – some even thought he was a polar bear! 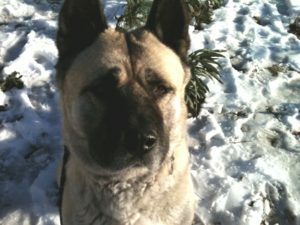 Niko lived to be almost 15 years old, which is amazing for an Akita. He was an excellent watchdog , always waiting in my front yard for me to return home. He patrolled the yard and kept my home safe. No one dared to trespass into my yard. In addition to being an excellent crime deterrent, he was compassionate, loving, and caring. He let me know every day that he appreciated the home I gave him. He frequently looked me in the eyes and gave me his paw and a big wet kiss. Losing Niko was inevitable. He was having trouble walking and this affected his ability to get outside when he needed to pee and poop. For me, that was something that I was willing to put up with – not a reason to put him down. I just got doggie diapers for him and he seemed fine with wearing them when he was in the house. Finally the day came when he had a medical emergency and I knew it was the end. Making that decision was very hard but I knew I didn’t want Niko to be in pain any longer. I also knew it would be one of the greatest losses in my life, and it is. Losing a friend, someone who depends on you, someone who loves you more than life itself, leaves an imprint that can’t be easily erased. You have to grieve that loss and that’s what I am doing as I write this. Niko passed on September 10, 2018 and my home feels empty without him, even with my other two 13-year olds, Mojo and Lily (and Aggie, my roommate’s 3 year old). I have no regrets. It was all worth it for the love I had from that beautiful dog. So if you ever see a stray in the road, don’t just drive by and hope that it doesn’t get hit by the next car. Pull over and help it if you can. That animal will love you unconditionally and your life may become more fulfilling – as mine most definitely did. Memoir Writing: Creating Your Legacy! If you know anyone who would benefit from this service, please contact me at: pat@writerpatkramer.com. 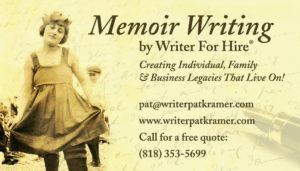 Everyone has a story to tell – and for that reason, Writer For Hire Pat Kramer has created the Lifelong Stories memoir writing service to capture the valuable memories our elders hold that we don’t want to lose. Over the years, Pat has written memoirs for business professionals – about them and their businesses, families, and senior members of a family. In addition to preserving their legacies, these memoirs often bring family members together as they share in the reading of mutual memories. “Born in Basra,” by Bushra Rothstein, a memoir of her early years as a Jewish child during a time of turmoil in Iraq and her subsequent journey and life in America, where she now leads her own practice as a psychotherapist. “My Life in Retrospect,” by Los Angeles investment banking founder Lawrence Hurwitz. Raised by a father who was Austin, Texas’ first Jewish motorcycle cop, and a mother, who had the distinction of being the first woman to attend business school at Boston University, his memoir is both a tribute to his parents and a legacy of his own life. Virginia Walker who, as a young woman, was raised on a 40-acre farm in Indiana before marrying her late husband, who would become an oil industry executive in California. Virginia’s memoirs describe her early life on the prairie, coming to California, raising her family, her life with and loss of her first husband and finally, a second marriage and the loss of her second husband. Throughout it all, there is a message of optimism and hope. Family Memoir: Additionally, Pat has written the Morochnick Family Memoir – a story that remembers each of her extended family members from four generations and their connections to the world. Business Memoir: Finally, Pat has written business memoirs, such as Ward Service History in Monrovia, California, depicting the evolution of its 90-year history. Ward Service is the 2nd oldest, family run auto business in California having survived economic ups and downs, changes in technology, the gasoline wars, and multiple relocations. This history was distributed to the media and to the 350+ people who attended its 90-year anniversary party in 2013. 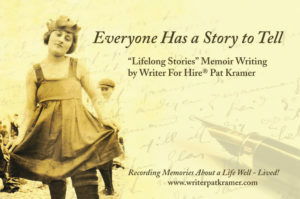 If you want your memoir or that of someone else in your family written, please contact Writer For Hire Pat Kramer. 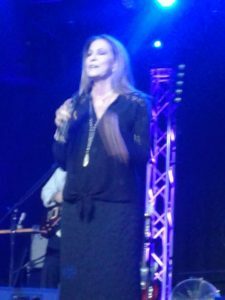 Rita Coolidge performing in Pasadena on July 14, 2018 at The Rose. Back in 1970, singer/songwriter Rita Coolidge wrote a song with a very memorable piano riff and played it for guitarist Eric Clapton, with whom she had sung background vocals while the two performed as part of Delaney & Bonnie and Friends. Coolidge was then dating drummer Jim Gordon, who played in Clapton’s band Derek and the Dominos. After showing the song to Gordon, who added his own touch to Coolidge’s song, the two took it to Clapton with the expectation that he might cover it. The song was called “Time (Don’t Let the World Get in Our Way)” and was later recorded by Rita’s sister, Priscilla Coolidge. After not hearing back from Clapton about her song, Coolidge was surprised when Clapton released “Layla,” a year later and used her music as the memorable and haunting piano coda. While Clapton gave drummer Gordon songwriting credit, Coolidge’s name was blatantly absent. Layla would rise on to #1 on the charts and make many millions of dollars for Clapton, taking his recording career to new heights. Back in the early ‘70s, artists were not as well represented as they are now. At that time, Coolidge was in her 20s and had not yet established herself as a recording artist. When she realized that her song had been released by Clapton, she contacted his manager Robert Stigwood, who reportedly said to her, “What are you going to do about it? 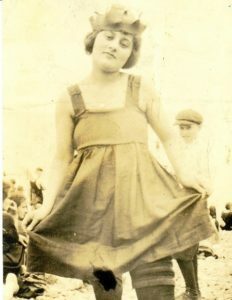 Are you going to go up against Stiggy?” This is documented in her memoir, Delta Lady. So what could Coolidge have done differently to have protected herself, and is there a statute of limitations for her to contact him now? For Coolidge, who is still recording and performing 48 years later, it was disappointing. (Jim Gordon was later convicted of brutally murdering his mother in a schizophrenic episode and remains incarcerated). Since he has become known as a philanthropist, making a nice gesture of support on Coolidge’s behalf – and giving her a long-delayed songwriting credit – would go a long way toward making amends. Everyone has a story to tell, but particularly those who have lived a long life with struggles and hardship make for the most interesting stories. I recently started my new Memoir Writing service which I call, “Lifelong Stories.” By having someone to tell their stories to, older family members get to relive many wonderful and sacred memories of people they’ve loved and experiences they’ve shared. Additionally, they have a place to document the important details of their early lives, to keep alive the names of family member who have passed on and to share circumstances about family origins that no one else knows. I started writing memoirs about eight years ago with the intent of preserving my own family’s history. In the process of interviewing multiple relatives, who were distant cousins of my parents, I enlarged my own awareness of my expansive family’s history in Europe pre-WWI. The process was painstaking and there were many people who wanted to contribute to the overall stories I wrote, so the process took months longer than I had expected it would. But the end result was that I met some wonderful people who I had never previously known who are a part of my bloodline. Several live on the East Coast where my family is from. And today, I’m connected with them on social media, via Skype, LinkedIn and Facebook. These are people who I had never met before and would not have known had I not taken this important journey back into my family’s past. Apart from writing my family’s history, I’ve had the pleasure of tagging along on others’ journeys as I document their important memories. One of the memoirs I’m writing today is that of a woman who raised her family of four in California in the oil fields – a long way from the 40-acre farm in Indiana where she was born and raised. Still another is the story of the daughter of a bootlegger who went on to become a runway model to support herself and then married the man of her dreams just before the war broke out. What I love most about the process of taking notes and interviewing my Lifelong Story clients is listening to them telling their stories. Each story involves conflict but always resolution – how they made it through hard times and the many challenges that life threw at them. Each story celebrates the lives and interactions of many different people who crossed their paths and influenced them, both positively and negatively. We all can learn from these stories that our elders have to share. As I continue in my practice of creating colorful memoirs for the people who request them, I’m sharing in their lives, but I’m also giving them something that they can hold onto – a physical story about them and their lives that can be read and re-read by their children, grandchildren, and many generations to come. These stories say that their lives have mattered – that someone will benefit from their experiences. And sometimes, that’s the greatest gift a person can hope to leave behind. For more information, please contact Writer For Hire® Pat Kramer at: 818 353-5699 or pat@writerpatkramer.com. Last night, June 11, 2018, I attended a seminar held by the Publishers Association of Los Angeles featuring four successful authors with a chockfull of tips on online publishing. This was one of the most informative seminars I’ve attended – and I frequently attend these type of events so that I can update my knowledge to further help my writing and publicity clients. The four authors included a bestselling children’s book author, a non-fiction book coach who’s authored a series of instructional books for educators, the author of a bestselling series of books for writers and wanna-be writers, and the author of a series of fiction novels. Each had their own style of writing and marketing and I enjoyed their willingness to share their experience in getting their books out to the public. Next, we heard about each author’s efforts toward getting publicity, including writing press releases as opposed to hiring a book publicist (like myself!) and different ways to market their books using social media. We also talked about holding ‘author events’ and building an email list to use when launching a new book. Everyone pretty much agreed it was a waste of money to purchase a mailing list and was ultimately best to build relationships first before trying to sell your product. Getting book reviews was the next item of discussion: how to solicit these and how to find online reviewers who would be willing to do this for you. We also heard about the benefits of using a survey which could be sent to readers/purchasers of your book and how positive reviews on the survey could be repurposed on the back cover. In conjunction with the effort involved with creating a press kit, which could be uploaded to your author website, we talked about using Amazon’s marketing series – a little pricey perhaps but which one author stood behind saying it doubled his sales. Facebook ads were also discussed as well as other forms of online advertising. 1. One author talked about converting his online advertising into revenue. 2. A second said he enjoyed giving presentations and meeting the public. 3. A third said she loved getting positive reviews of her books. 4. And the fourth said she liked being visible and developing camaraderie with her audience and vendors. As always, I could have stayed way longer than the hour and a half this seminar took because it was so refreshing to connect with other writers and learn from those who have had success in related areas of business. I want to thank the Publishers Association of Los Angeles (PALA) which puts on innovative and highly-formidable seminars each month for the general public. My deepest appreciation goes to moderator Robin Quinn, a fellow writer, editor and book coach, nonfiction book coach and author Carol J. Amato who is also the owner of Stargazer publishing; Christopher J. Lynch – author of the award winning “One Eyed Jack” series, Derek Doepker, author of six best-selling personal development books; and the award winning children’s book author Alva Sachs. You guys made my night and with your wise counsel, I will be better. Pat Kramer, aka “Writer For Hire®” is a professional writing service for business professionals, providing high quality, consistently high-rated content to advertise, promote, or market companies’ services and products. Additionally, Pat Kramer provides ghostwriting and publicity services for authors and writes personal memoirs for individuals who want to have a record of their life’s experiences. For more info, please visit: https://www.writerpatkramer.com.